Anyone can write something down, publish it and call it an article. But is this enough? What does it say about your business? Your content represents your business. It speaks loudly about your values and how you treat your viewers. Content is one of the most important things you can do for your business. So let’s go over the rules for article writing that will bring your business the success it deserves. If you’d like to know where I learned all these things when starting my online business, please CLICK HERE. There are rules to write articles online, that only makes sense, right? What I mean is that there is a formula for the perfect article, and though this formula may be tweaked from time to time, the general idea is still there. Rank on Google. If you don’t rank, your readers won’t find you. Provide valuable information that is beneficial to your reader. Encourage your reader to respond to your “Call to Action”. This could be anything from signing up to your email list, to making a sale. This is my technique, or rather my formula, that I use to write my articles and posts. This is how you are ranked well in the search engines. Finding low competition keywords is how your viewers will find you quickly and easily. If you don’t have access to a research tool yet, take a look at what I use. It’s powerful and effective. Do not stuff your article with keywords. At one time, Google liked this, but since all the algorithm changes, they now see this as spamming. Instead, place them strategically. In the title (H1 heading). In one of your H2 to H6 headers tags (subheadings). In the alt tags of your images, but only where it makes sense. Other than these specific locations above, don’t think about your keywords when you write. Your writing needs to sound natural and conversational. And in the process, you will be adding your own LSI keywords that are just as important to Google. Write your introduction by answering the question “why should they read this?” Your readers want to know why they should invest their time reading your article. Will they learn something valuable? Will they be able to apply your advice right away? Show them the big picture first, then provide the details further down. Remember to keep your introduction short and to the point. If they have to take time to read through a lengthy paragraph, they will most likely move on. Treat your visitor like a wild animal. Just like a lion hunts for its food. When they sniff a scent, they quickly decide if it’s going to lead them to a good meal that’s easy to catch. Your content needs to be easy to find (proper keywords), and provide a good meal (the valuable information they are looking for). If your article doesn’t draw your reader in quickly, they move on. Think of how you search for information online. Do you quickly scan each article to see if it provides the answers you’re looking for? Or do you read each article to the end? I bet you scan. I do, lol. Typically, you only have seconds before your visitor moves on. This is why you need to format your content differently. Use catchy headlines that grab attention. Add several sub-headings to break up your contents ideas. Add relevant links to other articles. Most viewers skim over the article reading the headlines and click on the first link that catches their eye. According to Jakob Nielsen of Nielsen Norman Group, 69% of viewers always scan any new page they come across. That means only 31% read the entire article. Boy, that statistic hurts when you spend so much time crafting your article. 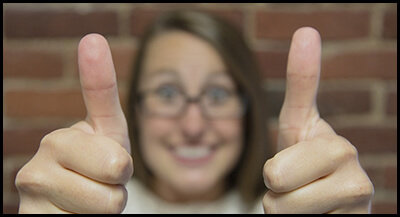 Did you know that your readers are more likely to share content that makes them happy? Find a way to give your information a positive angle. I know this may be hard if you’re writing a technical piece, but there are ways to be creative. Tell Stories: This can capture their interest by bringing your article to life. Humanize it by talking about an event relating to your content. KISS (Keep It Simple Stupid): Provide your reader with valuable answers to their questions. Don’t fill your article with “words”, for the sake of writing content. Your readers don’t have time for “fluff”. Get to the point and make it easy to understand. The Thesaurus Is Your Friend: Keep your writing exciting by using unique, strong verbs. Be Punchy: Use bold, italics, and underline to make your point. Use Short Paragraphs: No one wants to read a huge wall of text. Use two to three sentences to deliver your point. Its easier to read and your visitor will chase the information down the page. Balance Words with White Space: This is like taking a breath between spoken sentences. Leave space between your paragraphs to give your article breathing room. What would you prefer? An article with just blocks of text, or something more visually appealing? Remember when we were kids and were always drawn to picture books? Well, I don’t know about you, but I’m still drawn to them, lol. And your readers love it when you enhance your information with images, video clips, graphs, quotations, and reference to helpful products or services. Just remember to make them relevant. No one wants to see a video clip of a new movie when you’re writing about diet recipes, LOL. Have you ever heard the term “carewords”? These are the type of words we type into the search bar when looking for answers. 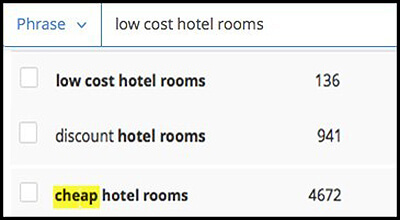 For example, when booking a hotel online, what do most people search for? Cheap, right? This always annoys my husband, haha. He’s in sales and says I should use the term “Inexpensive”, lol. But when I’m searching for a product, online, I say or type in “Cheap”. It’s the careword most people use. The picture, below, shows you the average monthly searches I found for different hotel descriptions, in my Jaaxy research tool. Notice how many more times the word “cheap” is searched per month? So instead of trying to embellish our content, simply use the carewords people are searching for, and you will be found quickly and easily. You want to use a format that makes sense to your reader. Without it, you’ll bore your reader and they will leave. Start by stating “why” they are there. What problem do they need help with? State “how” you will help them. What is the solution to their problem? State the “what” that will help them. What are the benefits of your solution? This is a good rule of thumb for all content ideas. Show the problem, tell the solution, then help them understand the benefits. Then finish up with a strong call to action. I’ve written another article that explains discovering your why. The article is referring to when you’re searching for your niche, but this applies to writing articles as well. Have you ever been to a party, and received a parting gift? Are you more likely to return if asked again? It’s the same with your viewers. Give your visitors a parting gift and you are more likely to gain repeat traffic. This could be a link to a free webinar, a PDF or worksheet. Anything, really, as long as it’s relevant and useful. If you don’t know anyone who can proof-read your new article, the best thing you can do is let it marinate overnight. Then with fresh eyes, re-read it the next day and make any minor adjustments. Check your spelling and punctuation. There are many free tools to help you with this, Grammarly being my favourite. One thing I need to point out… The last step in the video asks if it could be more intelligently worded. This means to be clear about the point you’re making. It doesn’t mean you should sound like a college professor! Once a month or so, you should go back to your older posts and update any internal links. Linking your posts to one another not only keeps your visitor on your site longer but helps to boost your rankings as well. So if you’ve recently written a new blog post relevant to your older posts, then link them together. There’s no such thing as “write it, and forget it”. A successful content writer will tell you to always go back and revamp your older posts. Check to see if they are ranking for the keywords you chose. You may want to lengthen the post or make a long post into two articles. Updating your content and reviewing your SEO strategy can give them a fresh boost in search engine ranking. What Is Content Creation, And How To Make It Great! Knowing how to write an article can become simpler if you follow basic rules. And of course lots of practice. After a while, it all becomes second nature. 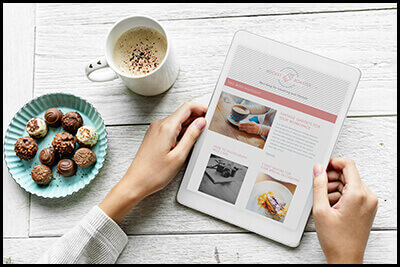 Starting a new business and learning to write content can be overwhelming at first, but with the proper hand-holding you can overcome this fairly quickly. All you need is proper training, guidance and support. This is what separates the successful businesses from those that aren’t. Would you like to know where you can get excellent training? And the best live support anywhere online today? This platform is all-inclusive. It has everything you need under one roof, to start or bring your business to success. Please click on the image below, and you can read all about it. And when you join, I’ll be there to help you every step of the way. See you soon! Are you a blogger or content writer for your own business? What do you write about? Please leave me a comment or any questions you may have below. I would love to hear from you. Do you know anyone who wants to start blogging? Please share this post with them. ← Do You Know How To Make Money Online? For Free? Your article is well written and has given me some great tips. It’s worth to read. Keep up the good work. Hi Krishan and thanks for the kind words. I’m so happy to hear I could be of help to you. There’s so much to think about when writing content for our sites. It’s all about the SEO! If we don’t please Google, our blogs end up on page 17, lol. If you have any questions, please let me know. I’d be glad to help. Sharing all these great tips which come from your experience in the market, it is just amazing! 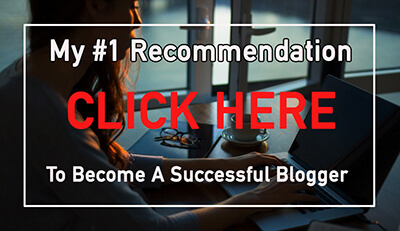 You have put together all the important steps that someone needs to follow in order to have success with their work on posts online. What I found to be the most eye-opening point for me, was the fact that the posts should be dynamic and evolving, like a floating river, never steady like a lake. Thank you Dino, for your kind words. We all want successful businesses, and writing proper content is a very important part of that. It not only helps you rank on Google, but it’s important to help your visitors stay on your page, and hopefully dig deeper into your site. If you ever see a drop in traffic, it’s important to find those articles that aren’t ranking well, and update them. It’s a great boost for business. Yes, as website owners and content writers, we need to be constantly ‘doctoring up old articles’ to ensure that they stay ‘fresh’. You taught me something – carewords – never heard of that and it makes sense too. Thanks for taking the time, and I guarantee you, I did not ‘scan’…LOL. Lol, thanks for not scanning, Michelle. I believe if we have a checklist of all the proper “rules” of article writing, we’d all be better off, haha. I’m glad you enjoyed my post. Fantastic Article. This article is so full of information that I will have to come back to it again and again to get all of the information out of it. Hi Jerry and thanks for your comment. I’m glad you’re getting a lot out of it. It’s amazing how rules like these can make a big impact on our ranking. And don’t worry, after a while it becomes second nature, lol. Thank you for this article. There is so much opportunity here to ‘shore up’ my own writing and make it much more helpful and inviting for my readers. As you know our main desire is to help and if the writing turns people away we will help no one. This is an excellent example of great writing. I always learn something new from you. You are a professional in every sense of the word! Hi Carl and thank you for the kind words. Yes, if we want to give readers valuable information, we need to learn to deliver it in a way they’ll want to read. I’ve come across so many articles that seem to talk down to you, yell at you, or are just down repetitive and boring. I try to put myself in my reader’s shoes and imagine what I’d like to read. I’m glad you enjoyed it! Hi Suzanne, Your article is well written and has given me some great tips. I am just starting out in the blogging world. I’m so happy you could learn a few new tips. It’s a lot to learn when you’re just starting out, but it will become second nature soon enough. Just keep practicing! Hi. I really liked the structure in this article. You were able to break it down into a process for me and make it just that more sound in my head. Writing for scanners, like you said, is only a matter of seconds. I think this is the most important step in content creation because people want to find a solution, and who will want their attention drawn to something that does not catch their eye right away? I know not me. I’m so glad it’s making sense to you. These are such important steps when article marketing. Try to put yourself in your reader’s shoes and imaging what you’d like to see and read. If you bore yourself, well….. haha. I’ve bookmarked your site and I will re-read this article before writing my next post. Thanks! I’m glad I could help you. I wouldn’t define myself as “expert” either, haha, but it does get easier with time. The more you write, the better you get. Like anything, it just takes practice. My problem is that I want to go back and redo my early posts, lol. But better to leave them and move forward. Very informative. I learned a few tips that I can personally use in my writing. Thank you for the excellent article! Thanks Louis, I’m glad you enjoyed it. It’s always wonderful to know you’ve helped someone along the way. I know I really appreciate other’s help when I need it. Best wishes in your writing!